Any of various functional disorders of the mind or emotions, without obvious lesion or change, and involving anxiety, phobia, or other abnormal behaviour symptoms. More simply put, neurosis is a pronounced state of disunity with oneself. We have all, at one time or another, experienced this. Jung’s view was that an acute outbreak of neurosis is purposeful, an opportunity to become conscious of who we are as opposed to who we think we are. By working through the symptoms that regularly accompany neurosis—anxiety, fear, depression, guilt and particularly conflict—we become aware of our limitations and discover our true strengths. In any breakdown in conscious functioning, energy regresses and unconscious contents are activated in an attempt to compensate the one-sidedness of consciousness. Jung did not dispute Freudian theory that Oedipal fixations can manifest as neurosis in later life. He also acknowledged that certain periods in life, and particularly infancy, often have a permanent and determining influence on the personality. But he found this to be an insufficient explanation for those cases in which there was no trace of neurosis until the time of the breakdown. What then determines why one person becomes neurotic while another, in similar circumstances, does not? Jung’s answer is that the individual psyche knows both its limits and its potential. If the former are being exceeded, or the latter not realised, a breakdown occurs. The psyche itself acts to correct the situation. 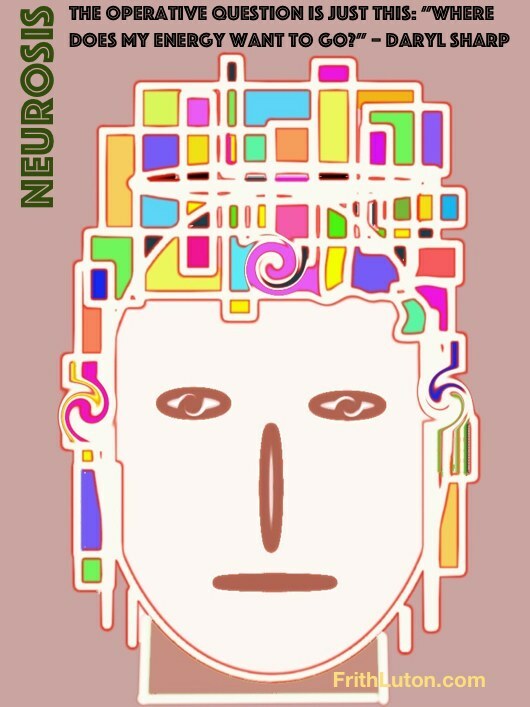 Jung’s view of neurosis differs radically from the classical psychoanalytic reductive approach, but it does not substantially change what happens in analysis. Activated fantasies still have to be brought to light, because the energy needed for life is attached to them. The object, however, is not to reveal a supposed root cause of the neurosis—its origin in infancy or early life—but to establish a connection between consciousness and the unconscious that will result in the renewed progression of energy. The operative question in such situations is just this: “Where does my energy want to go?” The answer—not so easy to come by, and even more difficult to act upon—points the way to psychological health.